In 1975, Zina, then 32, and Vladimir Mironov, then 35, both Jewish Olympic-level coaches, fled the Soviet Union; they eventually landed in Oak Park. Neither imagined the historic impact theywould have on gymnastics in the United States. Nor could they predict that training Wendy Hilliard, a student at Detroit’s Cass Technical High School, would help her become the first African American on the USA National Rhythmic Gymnastics Team. Wendy, 55, of Harlem, N.Y., achieved many honors since high school, including her 2008 induction into the USA Gymnastics Hall of Fame. But her most enduring legacy may be the Wendy Hilliard Gymnastics Foundation (WHGF) she founded 21 years ago in Harlem, based on the rigorous and affordable classes she experienced in Detroit, headed by her beloved coaches. Zina went on to gain world attention as a national team coach, elevating numerous gymnasts to world championships and one to the Olympic games, Michelle Berube, a member of the Detroit team who competed twice in the Olympics. When Drs. 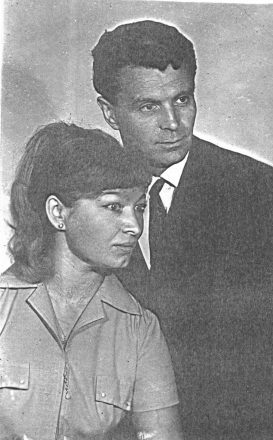 Zina and Vladimir Mironov first arrived in Metro Detroit from Kiev, they taught gymnastics classes, open to the public, at the Jewish Community Center of Metropolitan Detroit in Oak Park. During that time, Wendy Hilliard, 15, took tumbling classes in Detroit, but there was no equipment and no rhythmic gymnastics classes. While coaches in Bloomfield Hills were too expensive, Wendy discovered Zina’s classes at the JCC that offered artistic gymnastics (bars and beams), rhythmic gymnastics, tumbling, trampoline and sports acrobatics. 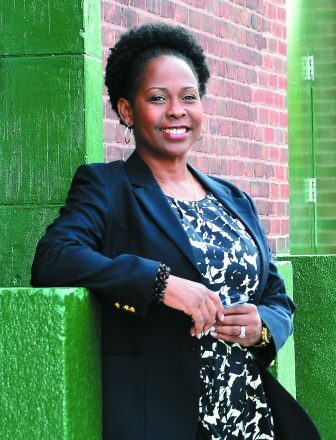 Within a year of Wendy studying with Zina, her mother, Gwendolyn, convinced Leon Atchison, director of Detroit Parks and Recreation, to hire the Mironovs. They became co-directors of the Detroit gymnastics program and Detroit employees. The position gave them a steady income and their students affordable classes. “It was open to those most interested in learning the sport,” Wendy says. Zina took the kids who really wanted to work hard; her choices were not dependent on a parent’s income. Five years later, Zina’s unique and diverse team, including Oak Park’s Jodee Abel and Marci Freeman, became one of the top two rhythmic gymnastics teams in the United States. How did this group of girls become so extraordinary? But the girls learned much more than discipline and gymnastics. Zina introduced her team to art, to famous dancers like Isadora Duncan and to classical music. Zina and Vladimir also benefited by directing gymnastics programs they couldn’t do in Russia. In fact, Zina and Vladimir both wanted to be Olympic athletes but were not allowed on the team because they were Jewish. Both then pursued doctoral degrees from Russian universities — Zina’s in physiology and gerontology, Vladimir’s in biomechanics. Both became the highest-level master coaches in the Soviet Union. Their Detroit team’s achievements, however, might have been overlooked but for the city embracing the team and marketing their successes. They were invited to perform at citywide venues, from the Detroit Institute of Art to Cobo Hall. The team also began to travel around the world, including to Bulgaria and China. It was the parents, led by Wendy’s mother, who raised money for their travels; and some Detroit groups, like the black women’s reading group, Sorosis, rallied to support the girls. But not everyone accepted Zina’s team, the only truly diverse gymnastics team in the country, Wendy says. Two-thirds of the Detroit Metro team was African American. 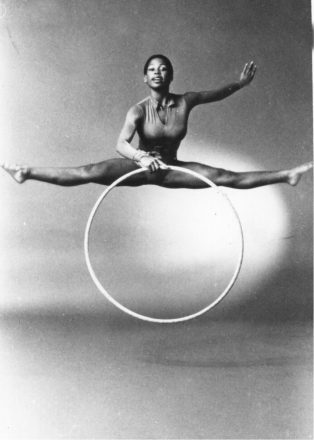 While Wendy, in 1978, became the first African American to make the National Rhythmic Gymnastics team, in 1983, at the training camp for the World Championships, the head coach overlooked Wendy and selected girls who ranked lower. Wendy’s parents sent a telegram to the national USA Gymnastics organization, challenging the coach’s call and won their case. Wendy went on to serve a record nine times on the team, twice as the team’s captain. She competed in three world championships and traveled to more than 15 foreign countries. The last few years Wendy competed, she also studied Russian and physical education at Wayne State University. But once her coach moved to Los Angeles, Wendy moved to New York City to study with a new coach and return to college. She graduated with honors from New York University in 1988.
tudents, Aliane Baquerot, made the 1996 Olympics. Wendy also became a sportscaster for 10 years, including covering the 1992 Olympics in Barcelona. As a founding member of the gymnastic dance company Anti-Gravity, she also performed in the Broadway revival of Candide. By 2002, Wendy married; she has two sons, Kennedy, now 14 and Bailey, now 12. 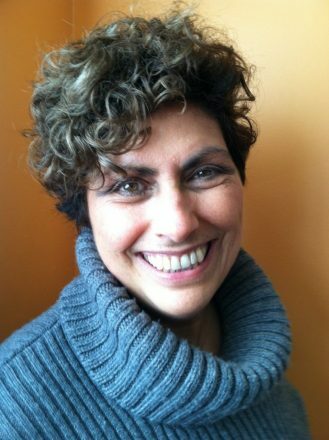 Zina, who closely followed Wendy’s career, became like a second grandmother to them. While an episode of her life was ending, Wendy began to think about recreating a team like the one in Detroit with Zina. “I became successful because of a high-quality, low-cost program,” she says. Zina could choose any child willing to work hard because of the city’s support. More, Wendy recognized her fun and disciplined training gave her and her teammates valuable self-confidence and a sense of self-worth. “Many became successful entrepreneurs, attorneys and doctors,” she says. Wendy Hilliard with current students and coaches in the Detroit program. In 1993, Wendy was elected the first African American and the first gymnast president of the Women’s Sports Foundation, the sports advocacy group founded by tennis great Billie Jean King. Its mission, close to Wendy’s heart, was to advance the lives of girls and women through sports and physical activity. “The Women’s Foundation started me down the path to be an advocate of athletes and all women,” Wendy says. Importantly, she also learned how to raise money and get out her message, which gave her the courage to start her own foundation. Before Zina’s untimely death in 2007, Wendy flew her from California to attend the Women’s Sports Foundation’s awards gala, where Wendy, then president, honored her coach. Zina also visited Wendy’s gymnastics program that opened in Harlem in 1996. Zina regaled the students with stories about a young Wendy and taught a master class. But running her foundation is not easy. Over the past 21 years, more than 17,000 children have taken her nonprofit classes. 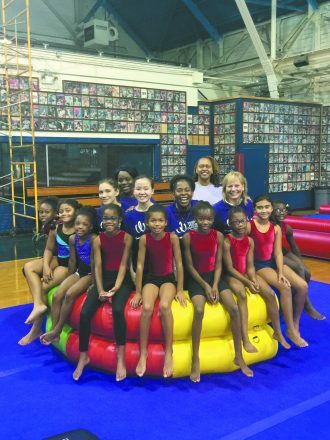 The cost per child each year at Wendy Hilliard Gymnastics Foundation (WHGF) is $500, and more than 40 percent of her students are on scholarship. Once a student starts competing, the cost jumps to $1,500 a year, which her foundation must raise. The excitement over Wendy’s work attracts many supporters, including former champions who teach classes at the foundation and idols who speak to her students, like Olympic gold medalist Gaby Douglas, the first African American gymnast, who won her gold in London. “She’s a huge role model for my students,” Wendy says. Billie Jean King, who attended Wendy’s last fundraiser, is also a big supporter, especially of her foundation’s mission to give all young children the opportunity to do sports. 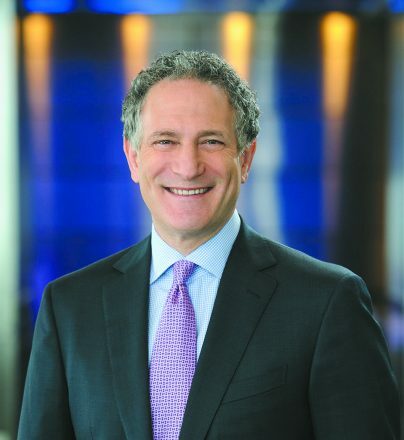 Several years after Wendy started WHGF, she attracted the attention of then-deputy mayor of New York City and former Detroiter, Daniel Doctoroff. Doctoroff, former CEO and president of Bloomberg L.P., hired Wendy in 1999 to help bring the Olympics to New York. He, too, became a major supporter of Wendy’s foundation and was honored at her 2016 annual event, where he helped her raise more than $200,000. He also hosted a party at Bloomberg Headquarters when Wendy was inducted into the USA Gymnastics Hall of Fame. “Wendy is that rare person who combines extraordinary empathy with intense commitment, discipline and ability to get things done,” Doctoroff said in an email. 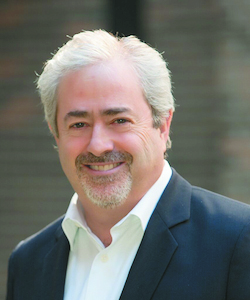 He also played a role in bringing Wendy back for a Detroit Homecoming event, an effort to bring successful Detroiters home to invest in the city’s rebound. Wendy’s nephew first suggested she attend the Detroit event, and when she learned Doctoroff was the keynote speaker, she got her ticket. “It was a heady time,” Wendy says, and she was convinced to expand her program in Detroit — no small feat. Wendy launched her Detroit nonprofit that offers a low-cost gymnastics program in 2016. It was daunting, she says. Besides raising money, she had to recreate an infrastructure for her Detroit gymnastics program. Again, a former Detroit teammate helped out. Karyn Glover, owner of Oakland Rhythmics, introduced Wendy to Brian Siegel, Jewish Community Center CEO and a partner in Joe Dumars’ Fieldhouse on the old State Fairgrounds in Detroit. When Siegel met Wendy and learned about her work, he not only gave her “a great deal to use the fieldhouse,” Wendy says, but he became a major supporter of her organization. Already serving more than 50 kids at the Fieldhouse, with little advertising, Wendy and her teachers are awed by the innate talent of the young people she is meeting in Detroit. Detroiters are already noticing the foundation’s work. U.S. Rep. Brenda Lawrence sent a Spirit of Detroit Award to Wendy, congratulating her for the “first affordable gymnastics program in Detroit.” Not counting, that is, the one that changed her life 40 years ago. Then, Wendy and her Detroit Metro team shocked the sports world, becoming a top rhythmic gymnastics team with the first African American champion, coached by Jewish refugees and sustained by a city in trouble. Now, Wendy is anxious to support Detroit youth and give back to the city that supported her. And, not unlike the young Wendy, her Detroit students, she says, are moving fast. Six to eight of them will do their first competition Feb. 10-11 at the 2018 Michigan State Meet in Bloomfield Hills. Stay tuned. The Winter Olympics may be starting Feb. 9, but you never know who you’ll see on the gym floor during the Summer Olympics in July 2020. For more information, visit wendyhilliard.org or email Wendy at info@wendyhilliard.org. 2/15/18: Regional Transit Plan / LUCK, INC.